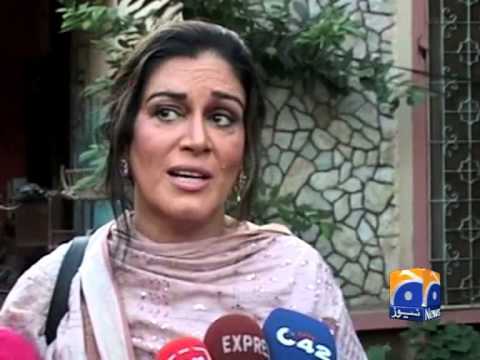 PML-N MPA and famous actress Kanwal Nauman passed away at Jinnah Hospital on Monday. MPA and famous actress was shifted to hospital after she suffered brain hemorrhage, media reports said quoting family sources. According to family sources, following she suffered brain hemorrhage, his body also suffered stroke due to internal bleeding. Kanwal Nauman, wife of Syed Nauman Aziez was born on January 1, 1964 in Multan. She passed FSc (Pre-Medical) in 1983 from Women Degree College, Multan. She was elected MPA in general elections 2013 on a seat reserved for women. She remained associated with the showbiz industry almost for 20 years and achieved prestigious awards. She was running a media house, which used to produce programmes for public awareness. She was also running an NGO working for poverty alleviation, eradication of drug addiction, highlighting women and special persons related issues and promoting importance of education and health facilities. The famous actress also worked as a member of standing committee on special education and standing committee on home affairs.